Pastime started as a screenplay. It won some competitions and was optioned several times by Hollywood producers. But the stars never aligned to turn it into a film. Everyone loved the story but Hollywood is often hesitant when it comes to period pieces (too costly) and baseball (not international enough). I wrote it because I thought a great American attribute was becoming a rarity: a sense of sacrifice. Sacrifice is at the heart of Pastime, a story about a spoiled modern baseball player who gets sent back to an era that was all about national and personal sacrifice: World War II. Today, baseball is becoming more international (booming in China, even growing in Russia). Meanwhile, the United States remains in the grip of unfettered self-interest and polarization. The team spirit that made this country great is withering on the vine. 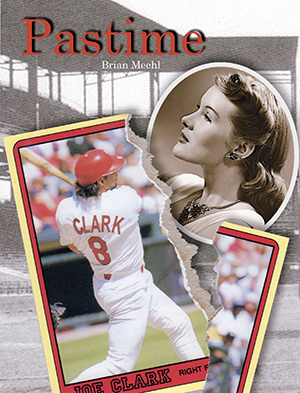 For these reasons the story of Pastime – a man’s journey back to a time and place defined by sacrifice – is more important than ever. It’s why I turned the screenplay into a novella and still believe it would make a terrific film.